Has it been rainy or cold this week where you are? Would you rather be zooming down the hill on Expedition Everest or breaking plates in Toy Story Mania? Me too! 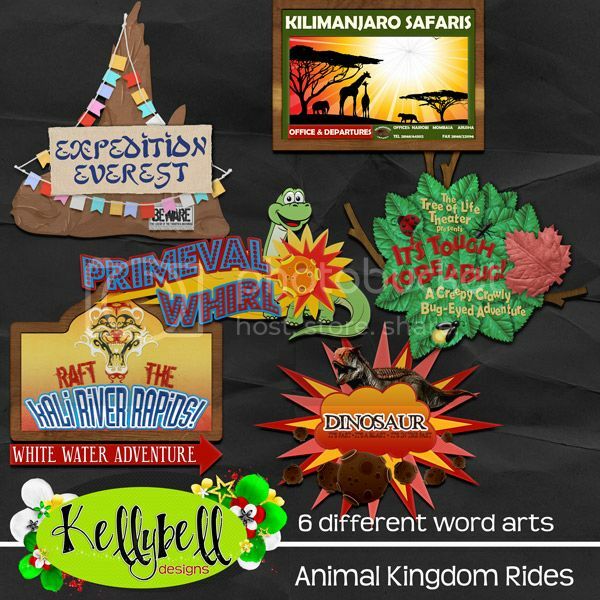 This week Kelly helps us relive that fun by adding to our ride title collection with Animal Kingdom Rides and Hollywood Studios Rides. 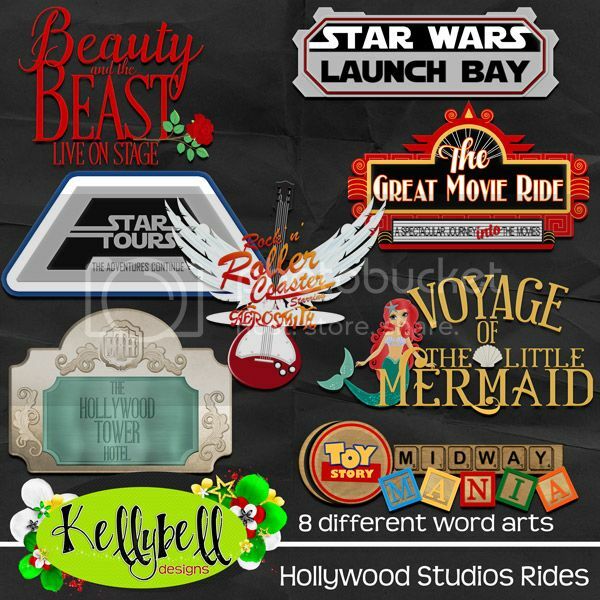 These word art kits are so great for making quick and easy pages with the perfect icons for your favorite rides. There are so many uses for these versatile titles. 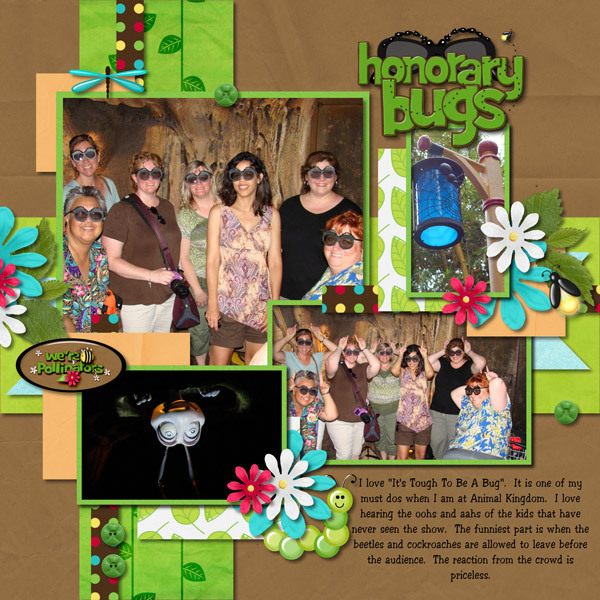 You can make them big or small, top your page or accent a photo. You can't go wrong with this fantastic word art in your stash! These word art packs will be on sale for 25% off in the Kellybell Designs Store this weekend only! Grab yours today! 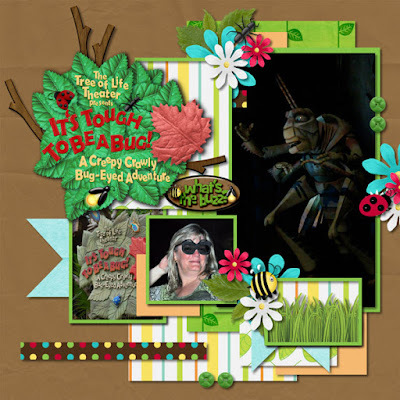 You can view all of the CT layouts on Kelly's blog or Kelly's Facebook page.